BREWSE (Bruce), JOHN, military engineer; m. Mary – ; d. 15 Sept. 1785 at Ipswich, England. 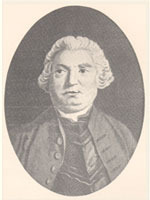 John Brewse first appears in the records of the Board of Ordnance for 1745 as a second engineer on the Newfoundland establishment. He is listed as occupying the same position three years later, but there is some doubt whether he resided on the island for the whole period. 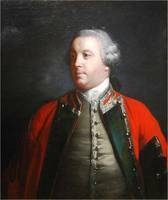 Back in England by 1749, Brewse accompanied Cornwallis’ expedition to Nova Scotia as its engineer. He assisted Charles Morris in laying out the town of Halifax and was one of the first justices of the peace appointed by the governor. Brewse’s main task, however, was to build defences for the new settlement. As protection was needed immediately he commenced a series of temporary fortifications. By winter a picketed fort had been built on Citadel Hill and two smaller forts in the town. A crude battery on George Island and two more forts were finished by late 1750, and the straggling barricade made of felled trees and brushwood that Brewse had been forced to use in 1749 after the settlers refused to work on the defences was replaced by a proper palisade erected by the troops. These duties were interrupted in August 1750 when Brewse was assigned as engineer to the detachment sent by Cornwallis to establish a British presence in the Chignecto region. Brewse was wounded in the leg during a skirmish between Lieutenant-Colonel Charles Lawrence*’s men and a force under Jean-Louis Le Loutre, but he was able to proceed with the construction of Fort Lawrence (near Amherst, N. S.). The new post was largely completed by 25 September, when Brewse returned to Halifax. 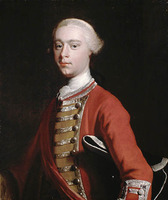 Brewse may have accompanied Cornwallis to England in October 1752, since in December he and the ex-governor appeared before the Board of Trade to discuss the Nova Scotia estimates for 1753. He returned to Halifax in August 1754 with plans and equipment for a battery that the Board of Ordnance had directed him to build on the Dartmouth side of the harbour. Lawrence, now lieutenant governor, warned the board that he would “greatly fear” the battery, anticipating the verdict of later observers who pointed out that such an isolated and easily captured work was a positive danger to the town. He gave Brewse his full support for this project, however, as well as for the construction of three other batteries on the Halifax shore in 1755. Brewse was assigned in 1755 as engineer to Monckton’s expedition against Fort Beauséjour (near Sackville, N.B.). He directed the trenching operations during the siege with the help of Winckworth Tonge, who had been appointed his assistant. Monckton gave most of his praise to the artillery and merely noted that Brewse and his men “were likewise verry Active,” but Lawrence, who seems to have had a high opinion of the engineer, reportedly believed that the ease with which the fort was captured was due to “the good conduct of Mr. Brewse.” Brewse’s own account of the siege is brief, sparse, and uninformative, but the plans he made of the Chignecto Isthmus form a valuable record of the operation. Brewse attained the rank of captain-lieutenant when the engineers were given military status in 1757 and, along with several colleagues, was assigned to the expedition against Louisbourg, Île Royale (Cape Breton Island), in 1758. There he probably received his share of the low opinion which Wolfe* and Amherst had of the engineers. According to Ordnance records, he was in Portugal in 1762 with the British force assisting in the defence of the country against Spanish invasion. 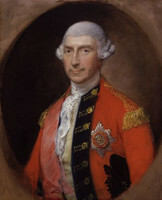 He then appears to have spent some years at the Ordnance office in London, and in 1778, now a lieutenant-colonel, he was appointed chief engineer at Minorca following the death of Patrick Mackellar. It was his fate to hold this position when Minorca was successfully besieged by the French and Spaniards in 1782, just as it had been John Henry Bastide*’s fate to be present at an earlier loss of the island in 1756. Brewse was promoted colonel in 1780, and in 1782 he was appointed to the newly formed Tower Committee, a group of senior engineers whose task it was to review proposed engineering and fortification works. It is not known whether he continued to hold this appointment until his death three years later. Brewse had a daughter Mary, who was the wife of Lieutenant William Kesterman of the engineers. They were the beneficiaries of his will along with John Boddington and Cuthbert Fisher of the Ordnance office. PAC, MG 11, [CO 220], Nova Scotia B, 4, p.21; MG 18, N 15, pp.2–3, 6, 16; N25, p.2; National Map coil. PRO, CO 217/9, ff.70–74; 217/15; Prob. 11/1134, ff.184–86. Annual Register (London), 1762 (8th ed., 1810), 28–32. The building of Port Lawrence in Chignecto, 1750, ed. and intro. J. C. Webster (Saint John, N. B., 1941), 7, 11. G.B., Board of Trade, JTP 1749/50–53, 376. [Joshua Winslow], The journal of Joshua Winslow . . . , ed. and intro. J. C. Webster (Saint John, N.B., 1936), 35–39. Roll of officers of the corps of Royal Engineers from 1660 to 1898 . . . , ed. R. F. Edwards (Chatham, Eng., 1898), 4, 6. Porter, History of Royal Engineers, I, 158, 171, 180, 188, 203, 209–13; II, 202–3. Maxwell Sutherland, “BREWSE, JOHN,” in Dictionary of Canadian Biography, vol. 4, University of Toronto/Université Laval, 2003–, accessed April 24, 2019, http://www.biographi.ca/en/bio/brewse_john_4E.html.